For editors: Interviews available to download for broadcast here and here (passwords: aaamemorialday) *AAA On-The-Go Battery Service available in most markets. Memorial Day marks the unofficial start of summer, and Americans will kick off the season by traveling in near-record numbers. According to AAA, more than 41.5 million Americans will travel this Memorial Day weekend, nearly 5 percent more than last year and the most in more than a dozen years. With nearly 2 million additional people taking to planes, trains, automobiles and other modes of transportation, INRIX, a global transportation analytics company, expects travel delays on major roads could be more than three times longer than normal, with the busiest days being Thursday and Friday (May 24-25) as commuters mix with holiday travelers. The Memorial Day holiday travel period is defined as May 24 – 28. Memorial Day travelers will total 7.8 million, an increase of 5% from 2017. 6.99 million will travel by automobile, up 4.9% from 2017. 627,000 people will fly to their destinations, up 7.4% from 2017. 221,000 people will use other modes (bus, train, boat, etc. ), up 1.1% from 2017. *South Atlantic region includes Delaware, Florida, Georgia, Maryland, North Carolina, South Carolina, Virginia, and West Virginia. For the 36.6 million Americans traveling by automobile nationwide, INRIX, in collaboration with AAA, predicts drivers will experience the greatest amount of congestion on Thursday, May 24 and Friday, May 25 – in the late afternoon as commuters leave work early and mix with holiday travelers. Several major U.S. metros could experience double the travel times compared to a normal trip, while New Yorkers could see three times the delay. The 88 percent of travelers choosing to drive will pay the most expensive Memorial Day gas prices since 2014. Gas prices averaged $2.72 in April, an increase of 33 cents from last year, due to expensive crude oil, record gasoline demand and shrinking global supply. 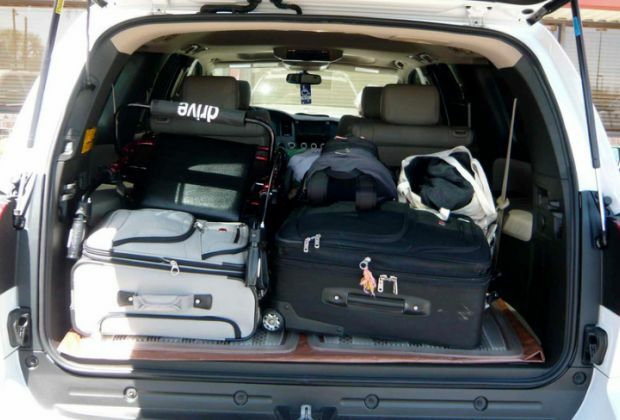 However, these higher prices are not keeping holiday travelers home, with automobile travel expected to increase for the fourth straight year, by nearly 5 percent nationwide over last Memorial Day. While road trippers will pay higher prices at the gas pump this year, travelers can expect some relief in their wallets when paying for, car rentals and most mid-range hotels. At $59, the average daily cost of a car rental this Memorial Day is the lowest rate in the past four years and 11 percent cheaper than last year. Orlando again tops this year’s list of the most-visited Memorial Day destinations in the U.S., based on AAA advance national travel bookings. Cruises to Alaska, originating in Seattle and Anchorage, as well as warm-weather destinations in Hawaii, Las Vegas, Phoenix and southern California top travelers’ domestic itineraries this summer. AAA recommends that before a road trip, consider taking your vehicle to a certified technician like those who participate in AAA’s Approved Auto Repair (AAR) program for an inspection. Garages that participate in the AAR program offer qualified technicians, a wide range of professional repair services, and guaranteed quality. These shops meet AAA’s strict quality standards and display AAA’s logo. AAR shops can be found at AAA.com/AutoRepair.